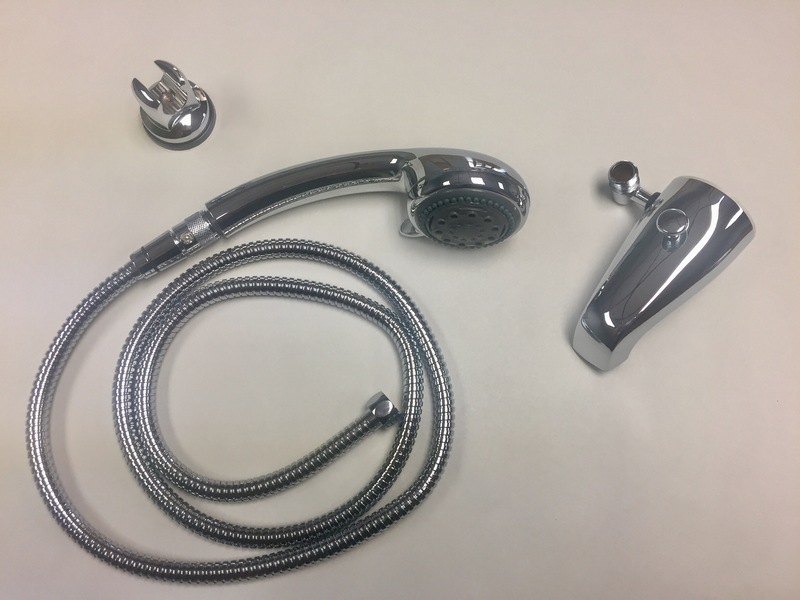 For individuals with limited mobility, a hand-held shower head provides more independence, as the flexibility allows for effective cleaning while seated. In addition, caregivers will find that hand-held shower heads are a convenient tool for bathing patients easily, enabling them to direct the water to where it’s needed. Solid Brass 24” Slide bar to position water where its needed, Adjustable 3 Position Shower Head. Choose from Pulsating, Full Soft Spray and Powerful spray. Hand Held Shower Head, Heavy Duty 69 inch Stainless Hose,!